There was no funnier African-American actor in Hollywood when Chris Tucker was in prime, as he starred alongside famed martial arts actor Jackie Chan in the Rush Hour film series. The rib-cracking actor, who started his career as a stand-up comedian, also appeared in movies like Friday (1995), Money Talks (1997) and Fifth Element (1997) among many others. Read on to find out more about his personal life, net worth and other accomplishments. Tucker was born Christopher Tucker, one of six children to Mary Louise and Norris Tucker on August 31, 1971, in Atlanta, Georgia. His father Norris was a businessman who also ran a janitorial service while his mother was a homemaker. The family were practicing Pentecostal Christians who attended the Church of God in Christ. Chris Tucker attended Columbia High School where he began to understand how to use his humor to his advantage and make a living. He began trying out as a stand-up comedian whenever he had the opportunity but since that did not pay his bills, he had to work for his father as well as in a local Burger King store where he mopped bathroom floors. Upon graduation from high school, Tucker made the courageous move of relocating to Los Angeles, California to pursue a career in stand-up comedy. The ambitious move paid off as he was able to perform in a number of clubs before later becoming a regular on Def Comedy Jam. Soon afterward, Tucker appeared on an episode in the sitcom Hangin With Mr. Cooper (1992) before making his film debut in House Party 3 (1994). In 1995, Chris Tucker was cast as the talkative marijuana smoker, Smokey, in F. Gary Gray’s Friday which also starred Ice Cube. The role turned out to be a breakthrough one for Tucker as its commercial success meant a larger audience had taken note of his talents. 1997, he went on to star alongside Bruce Willis in the science-fiction thriller The Fifth Element, opposite Charlie Sheen in Money Talks then in the Quentin Tarantino’s Jackie Brown. Despite working with such great names, Chris Tucker had not yet achieved A-list status before he appeared as talkative LAPD Detective James Carter in Rush Hour (1998). The film was very successful, grossing over $244 million worldwide. This led to its producers creating two sequels; Rush Hour 2 (2001) and Rush Hour 3 (2007) which Tucker reprised his role in both, although the third installment was not as commercially successful as its predecessors. After the last Rush Hour movie, Tucker took a break from acting and doing stand up comedy which he said was due to not having received the right scripts. Following a reported battle with the U.S. government’s Internal Revenue Service which said Tucker owed $12 million in back taxes, the comedian returned to work, first doing a number of stand-up shows before putting in a breathtaking performance in the film Silver Linings Playbook (2012) which also featured heavyweight actors like Bradley Cooper, Robert De Niro and Jennifer Lawrence. 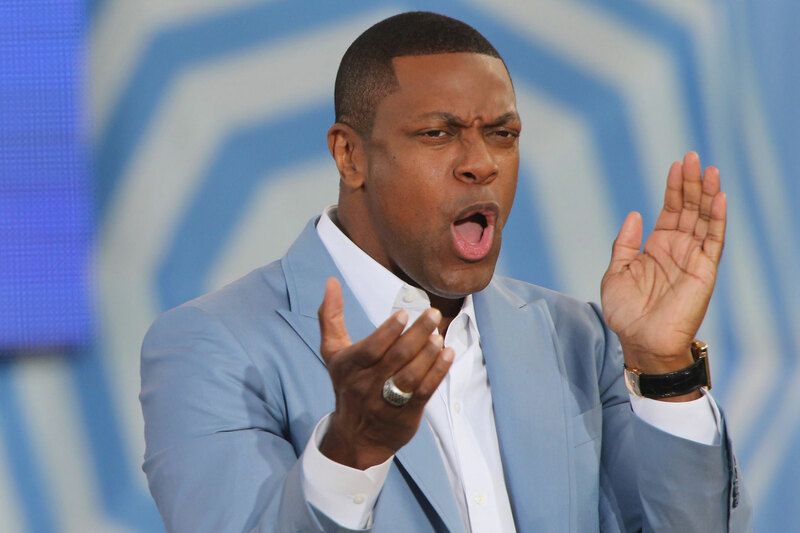 What Is Chris Tucker’s Net Worth? In 2007, Chris Tucker negotiated a $25 million contract, what was at the time the highest base salary in film history making him the highest-paid actor in Hollywood, for his role in Rush Hour 3. However, following his kerfuffle with the IRS and bad spending habits, Tucker is now said to be worth around $11.5 million which according to some sites like celebritynetworth.com, is way higher than what he is actually worth. It reports that the actor is worth $3 million. Chris Tucker was previously married to Azja Pryor. It is not clear when exactly the two got married although some reports indicate that it was in 1997. The union lasted for six years before ending in 2003. Together, the couple has a son named Destin Christopher Tucker who was born in 1998. Azja Pryor was in the news in 2005 for testifying in the molestation case against Michael Jackson. Pryor, who was said to be present in Jackson’s Neverland Ranch when the said incident happened, condemned his accusers adding that their motives were financially motivated. She maintained that the boy and his sibling never showed signs of being abused as she spoke to them several times that day. 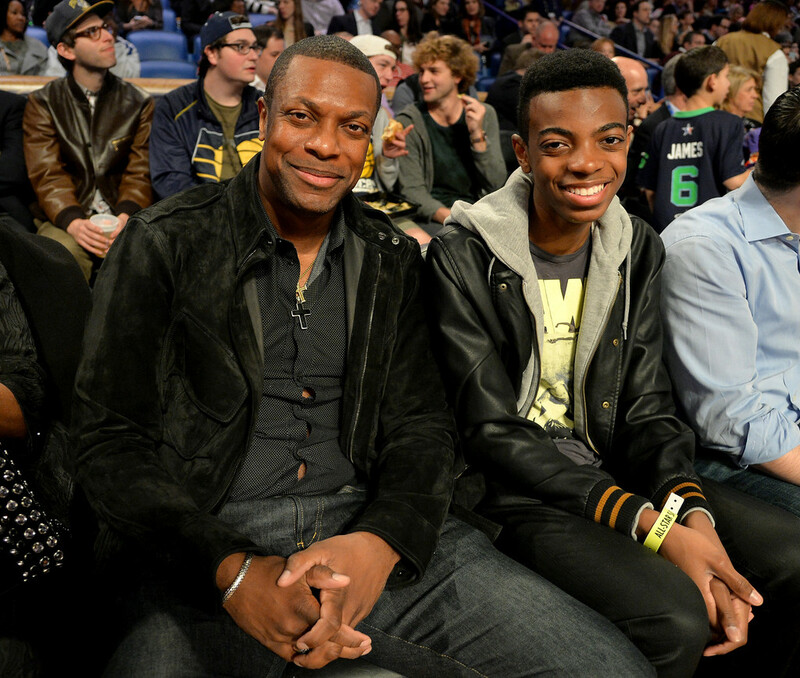 Chris Tucker’s son, Destin, is currently following in his father’s footsteps to become a Hollywood star. He is currently enrolled at the Cinema, Technology and Emerging Media Studies program at Morehouse College in Atlanta Georgia after which he hopes to become a director.